Okay, so when we left off last time I’d just started plotting Black Womb (the character). At this point though, he was still just one character in a sea of characters I’d created. Then, like now, I’d had a deep-seated desire to be my own mini-version of Stan Lee, so I “canceled” Alexis Temple’s series at issue 100 and branched off into two or three separate series’ I started plotting right from issue one. So, one of these was Black Womb… Right? No. Well, yes and no. It’s complicated. 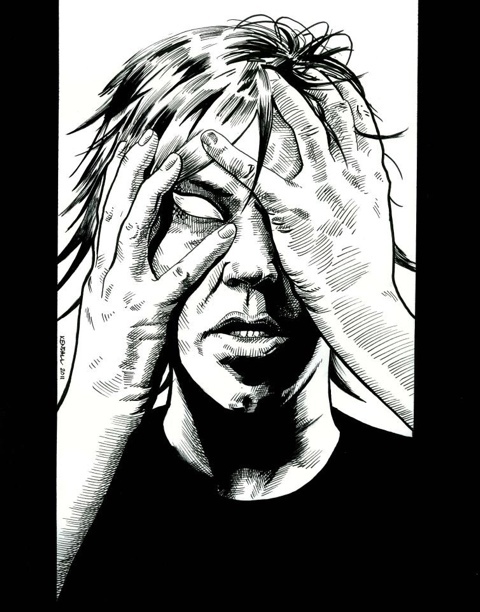 In my writing panels (both virtual and otherwise) I preach the need to keep an open mind about your characters. That maybe if you’re having trouble writing about some person or event that you just haven’t found your character. Or maybe you have and you just haven’t realized it yet. Originally there were lots of characters in my plot. I mean, a lot. Like thirty. And there was nothing to really distinguish Black Womb from the rest, except his personality. His personality was largely intact. Further inspiration came from multiple sources. And I do mean multiple. 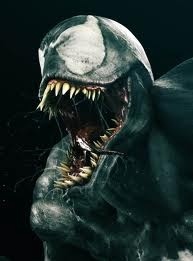 The slanted-eyes look I eventually adopted was inspired not by Spidey/Venom, but an indie comic called Grendel. I actually put a homage to that fact in the first book, in the character of Julian Grendel, so I’m honestly very surprised when nay-sayers don’t get the connection. It’s called Google, people. Look it up. 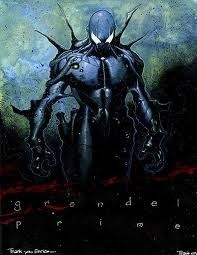 That said, I’ve never read an issue of Grendel. But I did read the novel Past Prime, which featured illustrations by Wagner and those wonderful slanty-eyes, in the same black-and-white style I would later adopt. Other inspiration came from recurring nightmares I had as a child, the black man dreams. 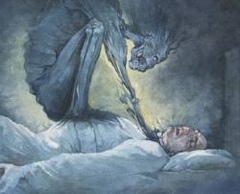 For those unfamiliar there’s a great discovery channel program on it, but basically its a form of Hag-dream where one is attacked by a shadow-man, or a man made of shadows. I had these hideous night-terrors up until the point I started writing Black Womb, and attribute the writing to my taking control of this particular demon. Ignoring that though, these two factors combined to create the look and feel of Black Womb. So, I went on plotting my major/minor superhero epic. In these days the Womb had a much gruffer personality, and I had fun hinting that the reason for this was a troubled past, but never revealed it. Also around this time I started to realize I had made him too powerful, and kept running into the “Superman problem” where the character cannot easily be beaten. So I took a page out of DC’s handbook and retconned the character into something more akin to the version we see today. 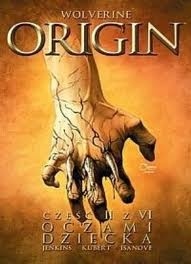 Around this time Marvel published a very important series called Origin that controversially chronicled the true origin of Wolverine. At the same time, the tv series Smallville was starting to make it big, so there was a lot of superheroes getting their origins told. Taking this into account, I plotted a flashback miniseries that told the origin of Black Womb when he was still in high school. And there it was. A month or so later, for reasons I can’t explain, I sat down at my desk and started to write a story, rather than just plotting one. I chose the origin story, because I’d liked it. I thought it was fun. The intention was to only write that one and then skip ahead to the other plotted stories, but I never did. This was it. This was what I was doing now. The plotting stopped, and the writing began again. I was now writing Black Womb. Hi, can I use your post on my blog with a linkback? Hey – let me know when that cover hits print – I definitely want a copy. I still don’t have the full series yet…maybe athe next Sci-Fi on the Rock? I think I’m getting a table to sell sci-fi/fantasy/comic inspired art. see you there. Sounds like fun – we’ll make it so!